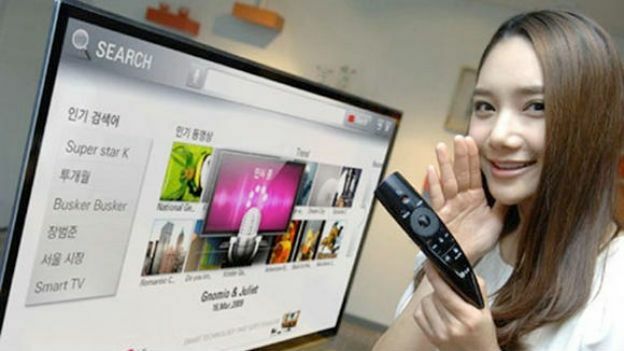 The all new Magic Remote from LG is designed to work with the Korean company's range of SmartTVs and could be the latest must-have weapon for any couch surfer's arsenal. The device has been outwardly redesigned and incorporates voice control technology that apparently picks up commands from regular, conversational speech. Want to watch the latest YouTube sensation? Simply say "show me the Gangnam Style video," and the remote will understand and fire up Psy's Korean classic. Although designed for use with LG's SmartTV range, the Magic Remote will work with other set-top boxes and Blu-ray players. It also supports gesture control, making it a possible Wii Remote substitute. “Building on an already impressive feature set, the latest version boasts accurate language recognition and its gesture, wheel and point control options makes the Magic Remote stand out amongst its competition as a truly intuitive device,” said Havis Kwon, President and CEO of the LG Electronics Home Entertainment Company. However, if you want to get your hands on the Magic Remote, you'll have to buy an LG telly to go with it. Currently the device only ships with the company's CINEMA 3D Smart TVs.